Imad Khadduri on the Iranian nuclear program and what the deal means to Iran. This is a follow up to last week’s interview with Imad. Check our archive for last week’s show. Imad Khadduri has an MSc in Physics from the University of Michigan (United States) and a PhD in Nuclear Reactor Technology from the University of Birmingham (United Kingdom). Khadduri worked with the Iraqi Atomic Energy Commission from 1968 until 1998. He was able to leave Iraq in late 1998 with his family. He now teaches and works as a network administrator in Toronto, Canada. He has been interviewed by the International Atomic Energy Agency, CBC, FOX, ABC, MSNBC, BBC, CTV, the Toronto Star, Reuters, Democracy Now, Dubai Business TV Channel, al-Jazeera satellite channel and various other news agencies in regards to his knowledge of the Iraqi nuclear program. 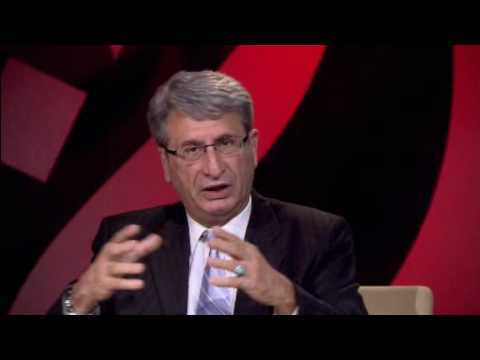 Khadduri is author of the books Iraq’s Nuclear Mirage: Memoirs and Delusions and Unrevealed Milestones in the Iraqi National Nuclear Program 1981-1991. He now runs the “Free Iraq” blog. This entry was posted in 2001: Repercussions, Afghanistan, Arab World, Armed Forces, Bush, Cheney, CIA, Iran, Torture and tagged Afghanistan, American Psychological Association, Iran, Iraq, Nuclear Deal, Nuclear Power, Torture. Our guest this week on The Monitor is J. Michael Springmann. You can get a copy of his book Visas for Al Qaedea: CIA Handouts That Rocked The World by calling in your pledge of $100 at 713-526-5738 or by pledging online at kpft.org. Topic: They that sow the wind, shall reap the whirlwind. How the U.S. trained Muslim terrorists at least as far back as 30 years ago and how this impacts us today – an interview with J. Michael Springmann. J. Michael Springmann, a career official with both the Commerce and State departments. He was economic/commercial officer in Stuttgart (1977–1980), a commercial attaché in New Delhi (1980–1982), a visa officer in Jeddah (1987–1989), a political/economic officer in Stuttgart (1989–1991), and, finally, an economic analyst at the State Department’s Bureau of Intelligence and Research (1991). 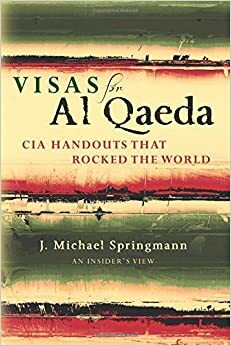 He recently published the book Visas for Al Qaedea: CIA Handouts That Rocked The World. Reflections on the 911 Terrorist Attacks, Washington Examiner, September 10, 2011, Michael Springmann , former head of the Visa Bureau at the U.S. Consulate in Jeddah , Saudi Arabia said that he was repeatedly ordered by high-level State Department officials to issue visas to unqualified applicants. His complaints to higher authorities at several agencies went unanswered. In a CBC interview, he indicated that the CIA was indeed complicit in the attacks. 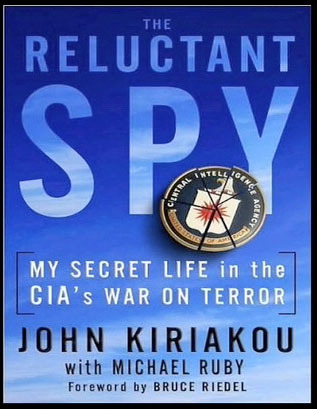 The Reluctant Spy: My Secret Life in the CIA’s War on Terror by John Kiriakou available to you for a pledge of $120. Kiriakou was is a former CIA analyst and case officer, former senior investigator for the Senate Foreign Relations Committee, and former counterterrorism consultant for ABC News, blogger for Huffington Post, and author. He was the first U.S. government official to confirm in December 2007 that waterboarding was used to interrogate Al Qaeda prisoners, which he described as torture. The Reluctant Spy: My Secret Life in the CIA’s War on Terror details his years with the CIA and the beginning of his legal problems when John told ABC News in an interview in December 2007 that the CIA was torturing prisoners, that that torture was official U.S. government policy, and that the policy was approved by the President. John was driven to ruin by the Justice Department because of these revelations. For a pledge of $85 you can get The Battle for Justice in Palestine by Ali Abunimah. He is the author of One Country: A Bold Proposal to End the Israeli Palestinian Impasse, and co-founder and director of the widely acclaimed publication The Electronic Intifada. 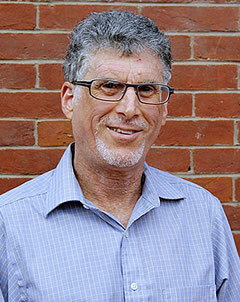 Based in the United States, he has written hundreds of articles and been an active part of the movement for justice in Palestine for 20 years. 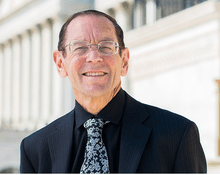 He is the recipient of a 2013 Lannan Cultural Freedom Fellowship. 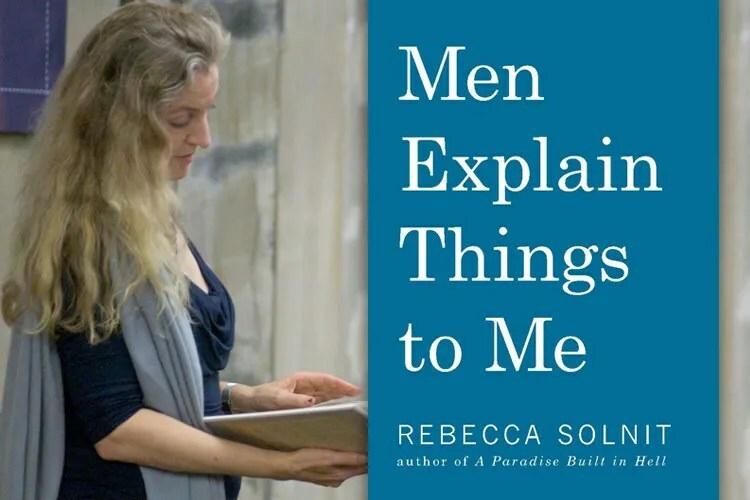 Any of these books will enrich you understanding of the topics they each handle. All three authors are going to be on The Monitor in the upcoming weeks. This is week two of the Pledge Drive for KPFT. The Monitor has a goal of $800 per show for three weeks in a row. Please help us reach that goal by calling in your pledge of support at 713-526-5738 or by pledging online at kpft.org. Our guest this week is John Kiriakou. He was is a former CIA analyst and case officer, former senior investigator for the Senate Foreign Relations Committee, and former counterterrorism consultant for ABC News, blogger for Huffington Post, and author. He was the first U.S. government official to confirm in December 2007 that waterboarding was used to interrogate Al Qaeda prisoners, which he described as torture. On October 22, 2012, Kiriakou pleaded guilty to disclosing classified information about a fellow CIA officer that connected the covert operative to a specific operation. He was the first person to pass classified information to a reporter, although the reporter did not publish the name of the operative. He was sentenced to 30 months in prison on January 25, 2013, and served his term from February 28, 2013 until 3 February 2015 at the low-security Federal correctional facility in Loretto, Pennsylvania. The Reluctant Spy: My Secret Life in the CIA’s War on Terror details his years with the CIA and the beginning of his legal problems when John told ABC News in an interview in December 2007 that the CIA was torturing prisoners, that that torture was official U.S. government policy, and that the policy was approved by the President. John was driven to ruin by the Justice Department because of these revelations. The national debate on waterboarding and other forms of torture got a second wind early in Obama’s presidency, and John clearly feels proud to have played a small part in that debate. In a larger sense, this is not an American conversation that has ended. If we have learned anything since 9/11, we have learned anew that a tension exists between protecting our national security and ensuring the human rights guaranteed according to the will of our Founding Fathers when they authored the U.S. Constitution. Our challenge, in a world of unprecedented threats, is to strike a balance between the polarities—to find that place where the national security and human rights can live reasonably, if not comfortably, side by side. It won’t be easy. But then, it never was. The Reluctant Spy is a fascinating book, which will give you chills when you realize that what John Kiriakou experienced at the hands of the Justice Department could happen to anyone. The book rose to #5 on the Washington Post political bestsellers list in March 2010. This entry was posted in 2001: Repercussions, 9/11, Afghanistan, Armed Forces, Bush, Cheney, CIA, Waterboarding, Whistleblowing and tagged CIA, Kiriakou, Waterboarding, Whistleblowing. Matthew Hoh is the Former director of the Afghanistan Study Group, Hoh is a former Marine and State Department official. In 2009 he resigned from his post with the State Department in Afghanistan in protest of U.S. strategic policy and goals in Afghanistan (Washington Post, front page, “U.S. Official Resigns Over Afghan War,” October 27, 2009). Quote: I am in opposition to the US being involved militarily in the civil wars in Iraq and Syria, as I foresee the results being the same as previous US interventions: escalation of the wars, mass suffering of the Iraqi and Syrian people, and a waste of American lives and treasury. Despite the Administration’s claims, this authorization is not limited, it simply pushes the decision for the US to remain at war in Iraq and Syria to the next president; it allows for ground troops, just not “enduring” ground troops, an incredibly subjective description; and it offers no path to peace and reconciliation in Iraq and Syria, just the promise of Americans killing and dying in the middle of two civil wars. In its coda the authorization does repeal the 2002 authorization for President Bush to invade Iraq, which is the genesis of these wars and of the Islamic State, but rather than serving as a cautionary historical blunder to protect our leaders from repeating a tragedy, it simply is written as a preceding and out dated legal necessity. Quote: Of all the Democratic or Republican presidential aspirants for 2016, only U.S. Sen. Rand Paul can save us from ruination born of perpetual, purposeless, unfunded global wars and limitless presidential power. Only the Kentucky senator grasps like President George Washington that entangling alliances are the fathers of danger and debt, not safety and security. Only he salutes President Thomas Jefferson’s foreign policy of “[P]eace, commerce, and honest friendship with all nations, entangling alliances with none.” Only Mr. Paul understands like James Madison, father of the U.S. Constitution and Bill of Rights, that war is the nurse of executive aggrandizement that cripples the Constitution’s checks and balances. This entry was posted in Arab World, Armed Forces, Bush, Cheney, Drones, Empire, Iran, Iraq, Jordan, Libya, Obama, Syria, Taliban, The "War on Terror", Torture, Yemen. Last week marked the start of KPFT‘s pledge drive. The Drive continues this week and The Monitor again has a goal $1,000 to meet. We need your help to get there, especially because we fell short last week. Please dial 713-526-5738 during the show and show your support for this show and the station that put it on the air. This is your last chance during this drive to support The Monitor. For several years now, Israel and U.S. officials and much of the mainstream media have maintained a steady drumbeat of allegations and accusations that the government of Iran has been pursuing a secret, “military” adjunct to its (quite legal, and regularly inspected) civilian nuclear program. Numerous western officials and commentators have warned that there will be a time coming very soon, beyond which this alleged military nuclear program will be unstoppable. Israeli PM Benjamin Netanyahu and other Israeli officials have warned that military action must be taken, if necessary, to prevent this from happening. Meantime, Washington has been leading a worldwide effort to impose punishing economic sanctions on Iran, in an effort to make it give up this alleged nuclear-weapons program. But where is the evidence that this program even exists? Veteran investigative journalist Gareth Porter has been following this issue closely for over six years. In his book, Manufactured Crisis: The Untold Story of the Iran Nuclear Scare, he shows how Israel and the George W. Bush administration successfully portrayed the various actions taken by Western nations and the International Atomic Energy Agency (IAEA) as responses to a long history of Iranian covert work on militarization of its nuclear program. In reality, however, the United States had intervened aggressively as early as 1983 to prevent Iran from its open effort to pursue its legitimate right to peaceful nuclear power– and it was that aggressive U.S. intervention that pushed Iran to resort to black market transactions in order to acquire the technology needed for its civilian nuclear power program. 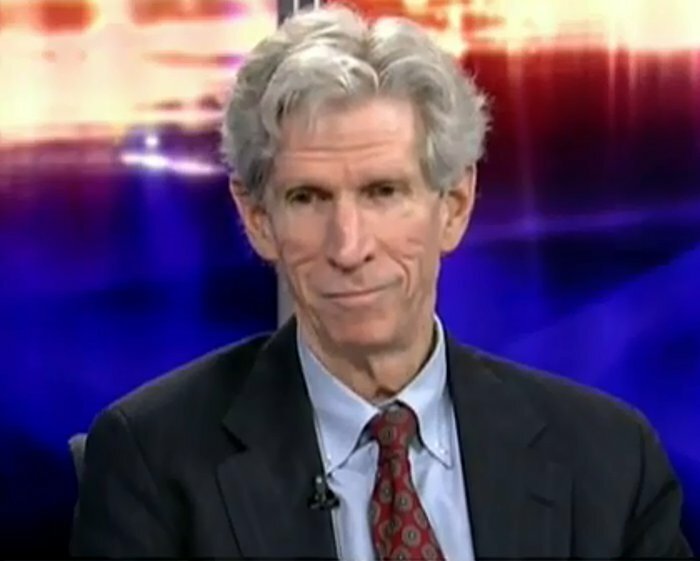 Gareth Porter is an independent investigative journalist and historian who specialises in U.S. national security policy. He is the author of Manufactured Crisis: The Untold Story of the Iran Nuclear Scare, published by Just World Books in February 2014. He writes regularly for IPS and has also published investigative articles on Salon.com, the Nation, the American Prospect, Truthout and The Raw Story. His blogs have been published on Huffington Post, Firedoglake, Counterpunch and many other websites. Porter was Saigon bureau chief of Dispatch News Service International in 1971 and later reported on trips to Southeast Asia for The Guardian, Asian Wall Street Journal and Pacific News Service. He is also the author of four books on the Vietnam War and the political system of Vietnam. Historian Andrew Bacevich called his latest book, ‘Perils of Dominance: Imbalance of Power and the Road to War’, published by University of California Press in 2005, “without a doubt, the most important contribution to the history of U.S. national security policy to appear in the past decade.” He has taught Southeast Asian politics and international studies at American University, City College of New York and the Johns Hopkins School of Advanced International Studies. You can follow him on Twitter and read his latest articles online as well. This entry was posted in Bush, Cheney, CIA, Cyber Warfare, Democrat Corruption, Empire, GOP Corruption, Hypocrisy, Intelligence, Iran.